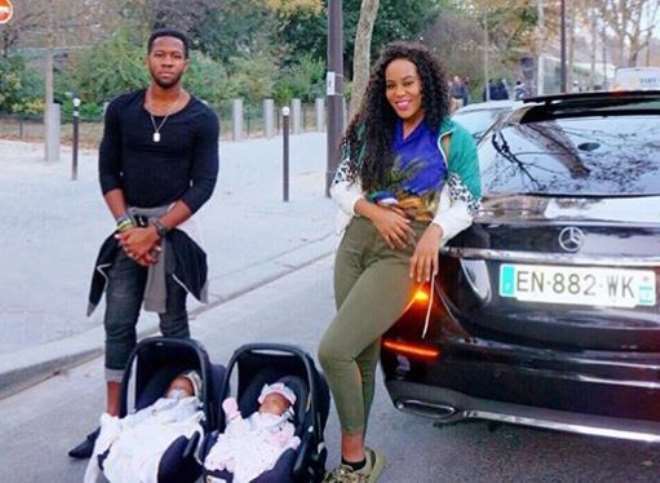 Nigerian singer, Emma Nyra stepped out with her twins two months after giving birth, she’s pictured with her brother. Emma who is in Paris welcomed Alexander and Alexandria on August 12th,2018. This is the first photo of them she is sharing since she announced their birth.